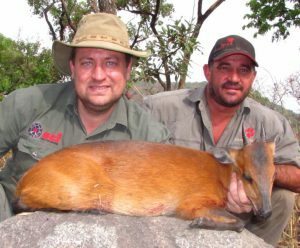 Your hunting will be done in the remote Zambezi Delta 40 minute flight north of Beira. 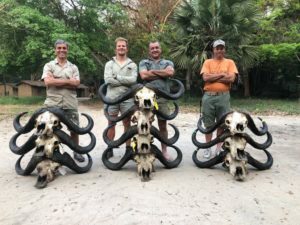 This vast area consist of more than 100 000 hectares of marsh and forest areas that host various game species included plains game, huge herds of buffalo as well as elephant, crocodiles and hippo’s. In the forest you will find from the small blue & red duiker, suni and oribi’s to leopard and other large game species. Its a hunters paradise. Your journey will include your incoming flight to OR Tambo (South Africa). An airlink to Beira where you’ll go through customs and immigration where you’ll be met and receive your hunting licence and rifle permits. Mainly small species are hunted in the forest areas. 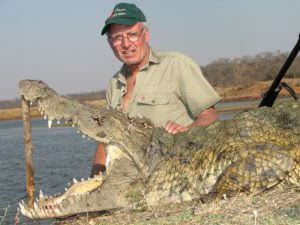 Hippo and crocodile hunting are mainly done in the marsh and Zambezi River area by boat.